A place situated near Ephraim, where Absalom possessed an estate (II Sam. xiii. 23). It was there that during a sheep-shearing festival Amnon was killed at the instigation of his stepbrother Absalom. 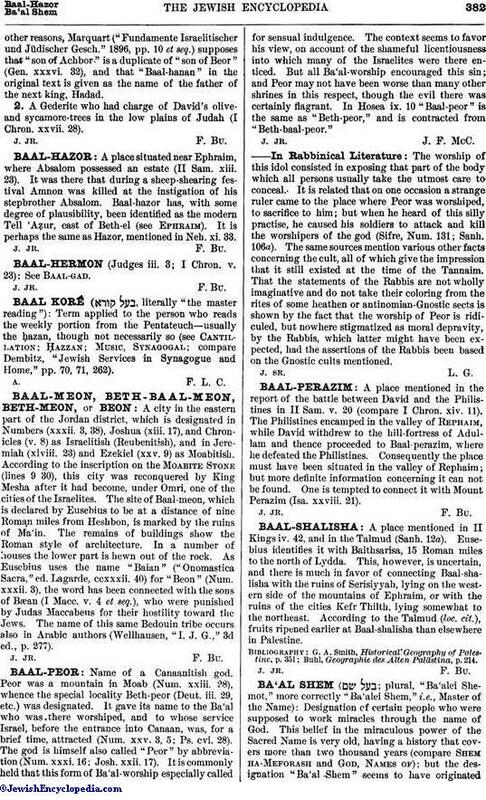 Baal-hazor has, with some degree of plausibility, been identified as the modern Tell 'AẒur, east of Beth-el (see Ephraim). It is perhaps the same as Hazor, mentioned in Neh. xi. 33.